The calls for action are becoming louder and bolder as the weeks continue to countdown towards COP21 in Paris. Perhaps none have been as bold as the recent call by The B Team for governments to commit to a global goal of net-zero greenhouse gas emissions by 2050, and to embed this in the agreement to be signed at COP21 in Paris. 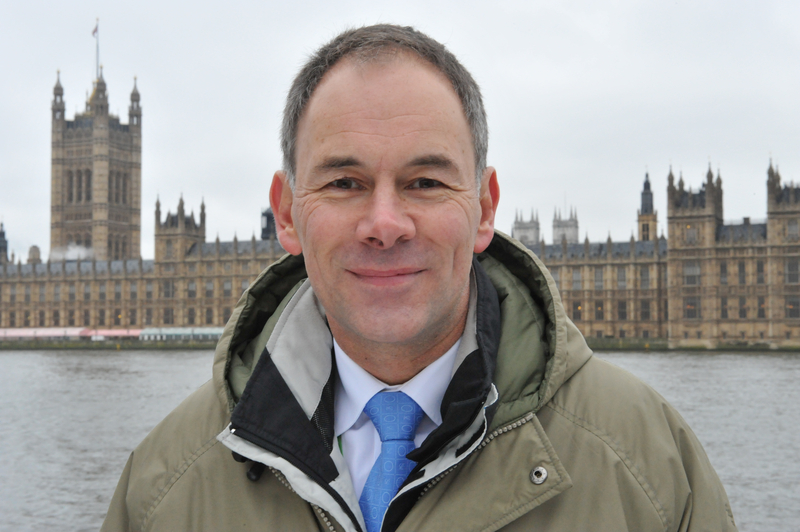 Without wanting to question the broader motives of The B Team, I do challenge their view that the climate issue can be resolved in just 35 years. For some this may sound like a long time, but it is the span of just one career. In fact it is the span of my career in the oil and gas industry from when I started work in Geelong Refinery in Australia in 1980. At least in one industry today, IT, everything has changed in that time, but that is not true elsewhere. In 1980 there were no personal computers in Geelong Refinery; today it probably can’t run without them, although the distillers, crackers and oil movement facilities being run by them have hardly changed and in many instances are precisely the same pieces of equipment that were running in 1980. In almost every other industry, the shift has been gradual, perhaps because of the installed base which of course wasn’t an issue for personal computing and mobile telephony. I suspect that this is true in Mr Polman’s own industry (household products) and it is certainly true in Mr Branson’s. In 1980 I flew on my first trip to London on a 747 and today I am in San Francisco, having arrived here on a 747, albeit a slightly longer, more sophisticated, efficient and larger capacity one than the 1980 model, but still a 747 burning many tons of jet fuel to get here. During his time in office which started with the election in 1980, Ronald Reagan replaced the existing Air Force One 707 with a 747 which still flies today but which Mr Obama has just announced will be replaced with a 747-8. Those planes will likely fly for some 30 years, as will all the other planes being built today, with many just entering the beginning of their production runs (787, A350, A380), rather than heading towards the end as we might be with the 747 series. There are also no serious plans for the jet engine to run on anything other than hydrocarbons for the foreseeable future (i.e. 50+ years) and even the attempts to manufacture bio-hydrocarbon jet fuels are still in their commercial infancy. So why would we think that everything can be different in just 35 years? There is no doubt that to quickly and decisively solve the climate issue and have a better than even chance of keeping the surface temperature rise below 2°C that we need to do this, but that doesn’t mean we can. To start with, there has to be tremendous political will to do so and to be fair, this is clearly what The B Team is trying to foster by making the call. But political will isn’t enough to turn over the installed industrial capacity that we rely on today, let alone replace it with a set of technologies that in some instances don’t exist. The development and deployment of radical new technologies takes decades, with the energy industry able to make that change at about half the rate of the IT industry. Even the latter has needed nearly 50 years to invent (ARPANET in 1969) and extensively deploy the internet. We are now seeing real progress in the sale of electric cars, but even there the numbers don’t stack up. To completely outpace conventional vehicle manufacture and replace the entire legacy stock of on-road vehicles will take about 50 years, assuming a ramp up of global electric car production of at least 20% p.a. every year until all internal combustion engine manufacturing is phased out. While this might be conceivable for personal transport, the progress on finding an alternative for heavy transport, including ships, is slow. For medium to heavy industry that relies almost completely on hydrocarbon fuels for high temperature operations in particular, there are no easy alternatives. Electricity could be an option in some instances, but almost all operations today choose coal or natural gas. For smelting, coal is essential as it provides the carbon to act as a reducing agent for the chemical conversion of the ore into a pure metal. Perhaps the area in which rapid progress will be seen is electricity generation, where a whole range of zero emission technologies exist. These include wind, solar, geothermal, tidal, nuclear and carbon capture and storage. But even with complete success in this one area, we shouldn’t forget that electricity is less than 20% of the current global final energy mix. This will surely rise, but it is unlikely to reach 100% in 35 years given that it has only moved from 11% to 18% the last 35 years. 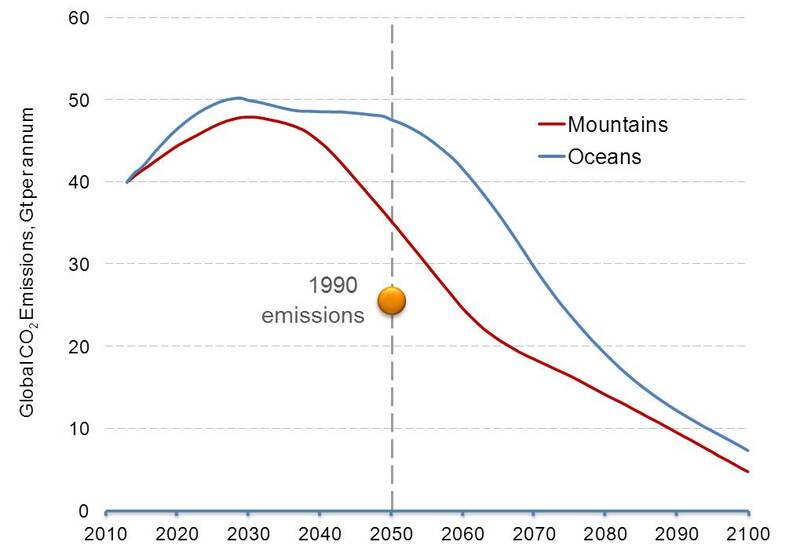 Shell’s own New Lens Scenarios show that significant progress can be made between now and 2050, but not in terms of a massive reduction in emissions, although that process is clearly underway in the Mountains Scenario by then (see below). Rather, the time to 2050 is largely filled with the early deployment of a range of new energy technologies, which sets the scene for rapid reductions to net-zero emissions over the period 2050-2100. Another critical development for the near-term is a complete global policy framework for carbon pricing. Even assuming big steps are made between now and Paris in even getting this into the agreement, the time for implementation is a factor that must be recognised. With a fast start in Paris, the earliest possible date is 2020 in that this is when the global agreement kicks in, but even the EU ETS took 8 years between initial design and full operation, similarly the CDM alone took over 10 years to fully institutionalize. Expanding full carbon pricing globally in the same period is challenging to say the least. Anything is possible, if someone else is responsible for accomplishing it. Virgin Atlantic aspires to convert its planes to biofuel within a relatively short period of time, and to provide proof-of-practice in doing so for other airlines. 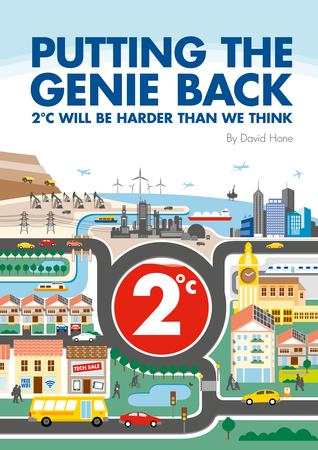 The only way we “can” keep temperatures below 2°C (which in fact may be an increase with catastrophic consequences, never mind the 4-6° which are distinct possibilities) is for civilization to mobilize as appropriate for a threat equivalent to war. By the time this is sufficiently obvious to convince the citizenry, however, it will be a question as to what of civilization can be salvaged. No participants the creation of our daily-more-potent juggernaut of irreversible impacts to atmosphere and oceans have more ability to be catalytic in working toward necessary change than companies currently focused on fossil-fuel production. Those companies are not fulfilling the responsibility inherent in that capability. Note: Your “Terms and Conditions” page is unavailable. I am favorably impressed by your balanced, reasoned, analytical series of articles, especially considering that your employer, Shell, depends on selling fossil fuels for its revenue. You views are much like mine, expressed in my book, THORIUM: energy cheaper than coal. Regarding what can realistically be done by 2050, I ask you to take a long look at our bold approach at thorconpower.com. From the outset we are designing new-technology nuclear power plants that can be constructed at the rate of 100 GWe per year. Selling these many power plants requires an price that can’t be refused — cheaper than coal. Starting with decarbonizing the electricity sector is the most fruitful path, but there are follow-on opportunities. Although today most iron comes from blast furnaces that use coal, most of the coal use is for heat. An order of magnitude less coal is consumed with electric-powered direct reduction, where the coal carbon is used just to replace iron in iron oxide. Also note that the US Navy research labs has demonstrated $5/gallon jet-fuel synthesis from seawater, using its dissolved CO2 for carbon and dissociated water for hydrogen. One challenge is getting the COP to focus on net-zero emissions, rather than 100%-renewables and exclusion of nuclear power. This is why we are focusing on a non-governmental solution — energy cheaper than coal — that will use economic self-interest to reduce emissions and increase electrification in the developing world.